Italy-based digital books distributor and publishing facilitator StreetLib has completed the fourth stage of its global roll-out with all of the Middle East and South Asia enfranchised. The company now offers an author and publisher portal for literally half the world. Full disclosure: The New Publishing Standard (TNPS) is published by StreetLib to further the debate about the global book markets. TNPS is not a StreetLib promotion tool. We offer news, data and insights freely for the benefit of all publishing stakeholders. Occasionally StreetLib news falls clearly within the TNPS global book markets remit. On these occasions we publish the StreetLib press release in full without further comment. [Press Release] StreetLib reaches half the world as digital publishing portals for Middle East and South Asia launched. Forecasts $5bn valuation for African publishing by 2025. The Italy-based digital books distributor StreetLib has completed the fourth tranche of its global roll-out, announcing it now has a digital publishing portal for more than half the countries of the world. “This is a huge milestone in our pledge to provide an author & publisher portal for every country in the world. This takes our total to over 100 countries, enfranchising authors and publishers across half the planet. Our April focus has been on the Middle East and South Asia. We believe the global publishing industry has not kept up with the pace of technological development in the MENA and South Asia regions, and this part of the world is widely regarded as a digital backwater not worthy of attention. Today the Arab book market, valued at over $1 billion, encompasses more than 200 million internet users. Across South Asia, Pakistan has more internet users than Spain, Bangladesh has more internet users than Germany. India’s book market is forecast to be worth $10 billion in 2020, and already India is the second largest country on the planet by internet users, ahead of the USA, Latin America and the European Union. 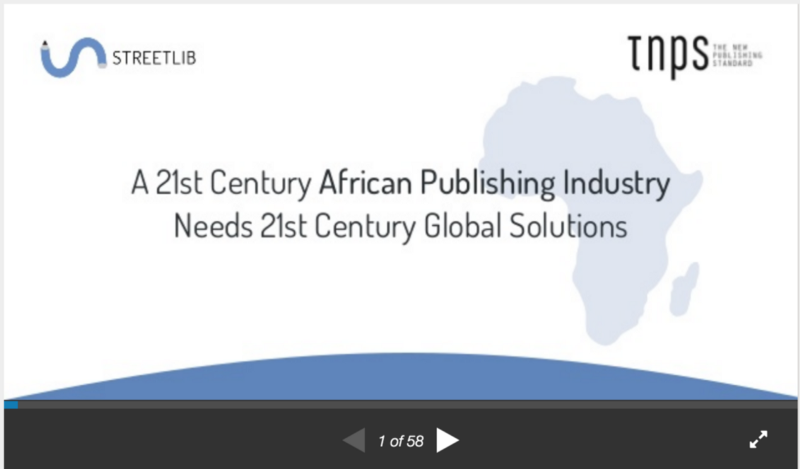 The Africa and MENA Projects are the result of the partnership between StreetLib and our sister company TNPS, on our common path to continue raising the awareness of the global publishing market opportunities and then building the digital distribution infrastructure needed to back these claims. As a gateway distributor StreetLib delivers digital content around the world through its partnership with retailers, digital libraries and subscription services, as well as its own ebook store, which uniquely supports content in all indigenous languages. StreetLib invites authors, publishers and publishing industry stakeholders across Africa to partner with us to reach readers across the African continent and around the globe. All with no up-front costs.